Latest Offers As the UK’s largest smart retailer working with Mercedes-Benz Finance, we are able to offer you extremely competitive rates for a brand new smart. 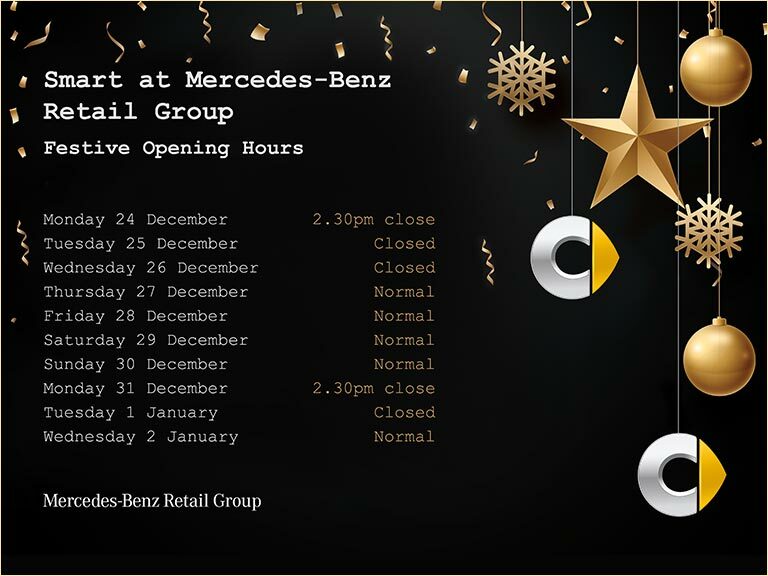 Dealer locator Mercedes-Benz Retail Group consists of 14 retail sites and four used car sites across the North and South of London, continuing to deliver the highest levels of customer service possible. To find your nearest dealership, please enter your postcode or town. Ever since smart came to the UK, Mercedes-Benz Retail Group has stocked both new and used models for sale, and offered expert aftersales services. Our dedication to quality with all of our services has seen our smart dealerships grow to 7 locations. You will now find smart divisions of Mercedes-Benz Retail Group in Brentford, Brooklands, Colindale, Croydon, Dartford, Epsom and Loughton. Come along to the showrooms to browse the new and used cars for sale and to enjoy a test drive. You will find a dedicated smart expert on hand to advise you on the model range, finance options and car insurance deals. We also have specialised aftersales services for caring for your smart with manufacturer-trained technicians who use official smart parts. Our workshop is smart repair-approved so you can rest assured that your car will be in safe hands. Our team is always here to help. Contact us online or over the phone if you would like to find out more about any of the cars or our services, or to arrange an appointment. We look forward to hearing from you.